Hadokam is a collaborated street fighter 4 hack accomplished at GameHackDay NYC 2011 by Mike Kelberman, Liangjie Xia, Bruno Kruse, Diego Rioja, Mustafa Bagdatli. 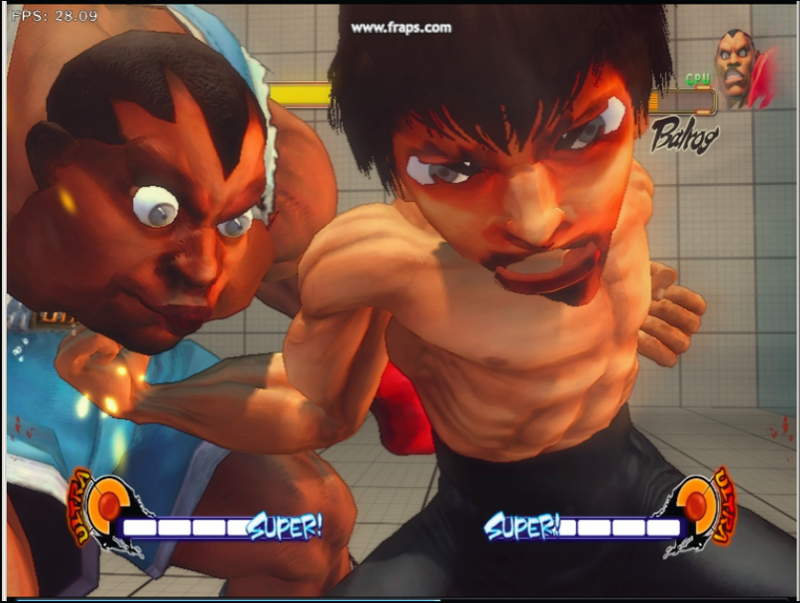 A picture of a player’s front face is projected to the character model extracted from the original game, and a generated skin texture is swapped back to the game for real gameplay. The character model is also hacked to allow Big Head Mode playing for a much more rewarding gameplay. A custom controller board is built (from a Mortal Kombat 2 arcade panel found on the street) to allow multiuser playing. Face mapping and texture generation is done with Processing, the controller board is powered by Arduino and simulating 2 joysticks. Hadokam won the First Prize People’s Choice of GameHackDay NYC 2011.